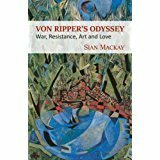 Sian Mackay was raised in Edinburgh, ‘City of Literature’, in the same district of Canonmills where Robert Louis Stevenson had been born a century earlier. After her marriage to an American who was assisting Palestinian refugees living in Cairo and the Nile delta, she lived in Egypt and the USA for six years before returning to Edinburgh to raise her two children. She began her writing career as Sheila Mackay, a freelance journalist working for publications as diverse as The Glasgow Herald, Times Educational Supplement and World of Interiors. 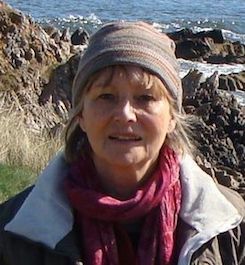 In the 1980s she founded Moubray House Press in Edinburgh's Royal Mile and went on to write several well-received non-fiction books under the imprints of other publishers. In recent years, Sian Mackay has been the recipient of two awards from Creative Scotland and a six-week residency at Yaddo, USA. She lives and works in Edinburgh and the Scottish Highlands where she holds writing workshops and acts as a mentor for other writers. It must have been six years ago that I first contacted the Andrew Lownie Agency and Andrew replied that he would take another look at The Blue File (as the book was then called) in a future draft. Encouraged by this ray of hope, I continued to research and piece together the book, and three years later I contacted Andrew again. All the elements were simmering, but the story hadn’t yet ‘cooked’. However, Andrew must have recognised in draft extracts the seeds of ‘a thumpingly good story’, as one of his readers recently put it. His patience with the progress of the book, and his willingness to procure several readers’ reports along the way have been impressive - and crucial to my endeavour to create a book worthy of its subject, The Incredible Mr Ripper. There’s a fascinating new article on the website, in which 23 of the agency’s authors outline the minutiae of their writing habits.